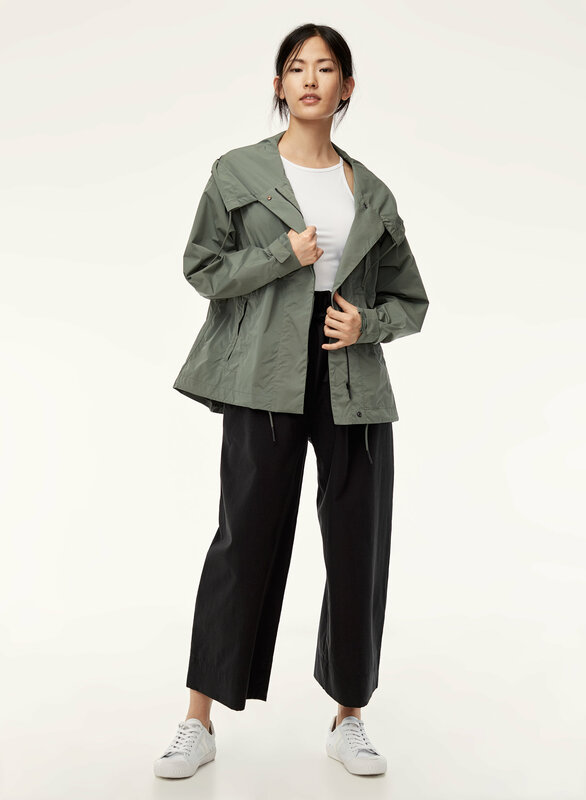 Styled with cathay tank and kerri pant . 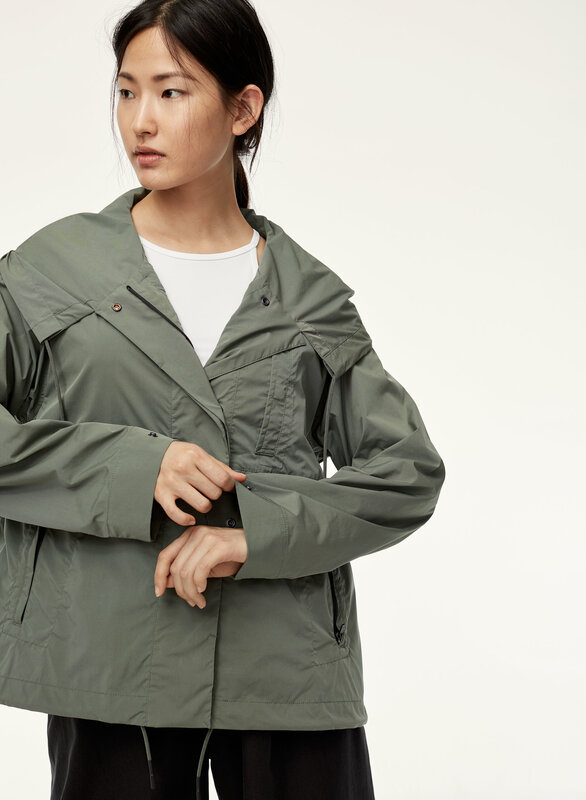 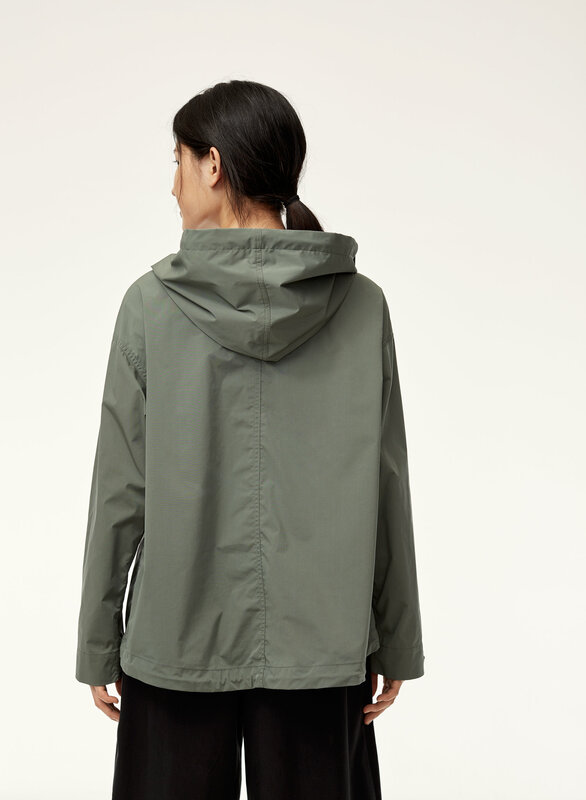 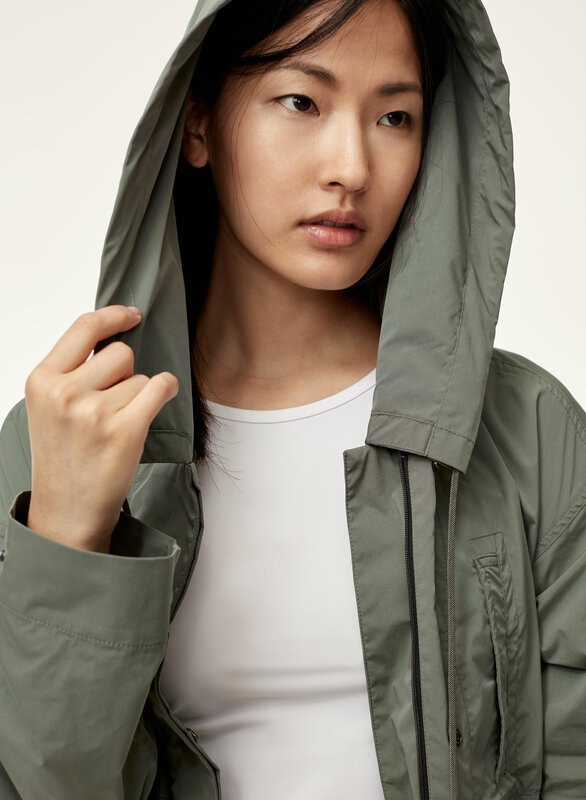 This lightweight windbreaker conveniently packs up into its matching pouch, so you can take it on the go. 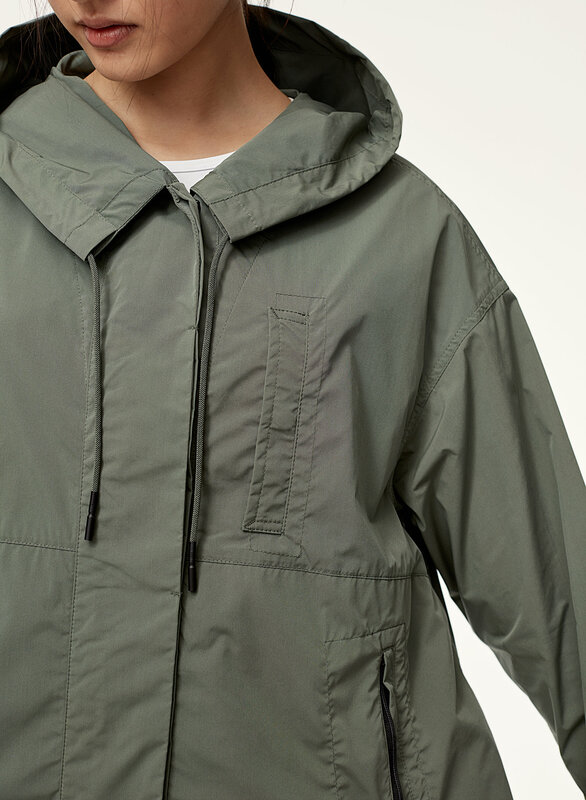 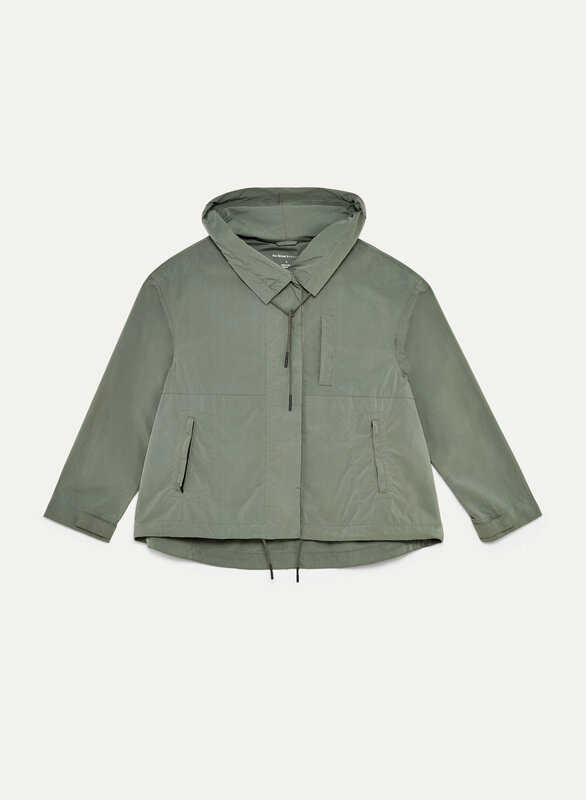 Cinchable drawcords around the hood and hem help keep the wind out.